The ponytail is a pretty convenient hairstyle. Yes, it's not only cute, but it also has a bunch of functional benefits as well! It keeps your hair out of your face when you're trying to be active and it can save you from bad hair days when your hair isn't quite on point. It's almost like a... magical hairstyle. We can almost see Hermione Granger waggling her wand about to cast a spell that instantly transforms her hair into a clean ponytail. But what kind of band would be holding it in place? Would it be a band that's just as magical as the young Hogwarts wizard? Okay, so you can see where we're going with this. These Harry Potter ponytail bands give your ponytail a magical look that comes straight from the halls of Hogwarts. With styles for Gryffindor, Slytherin, Ravenclaw and Hufflepuff Houses, you can wear one that matches your official Hogwarts House. Each band is elastic with a House emblem on it and works like any normal ponytail band (no magic or wizarding knowledge required to use)! 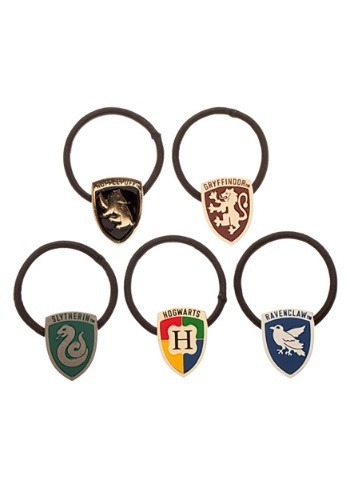 These Harry Potter themed ponytail bands bring Hogwarts style to any fan's hair. 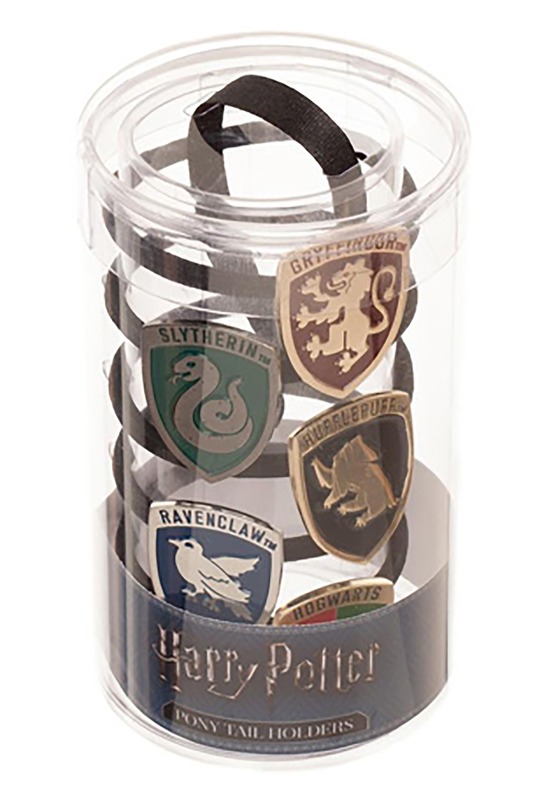 They're also a great gift for any Harry Potter obsessed friend or loved one in your life!